How to Make Santa Jello Shots! 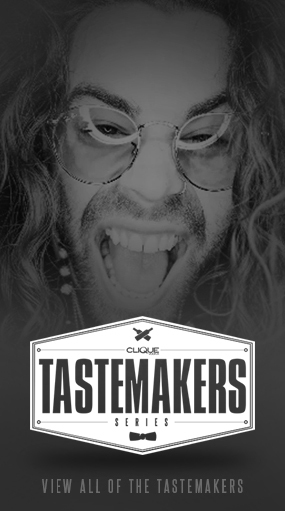 Clique Vodka, strawberries, a box of Jell-O, sprinkles, cream, a cinnamon stick, some sugar, and a cream whipper. To prep the strawberries, cut a sliver off the very top, removing the leaves and giving it a flat surface to stand up. For the Santa hat, slice off the bottom to form a small triangle and set aside for later. 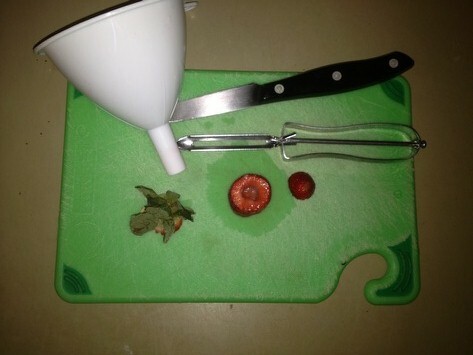 Use the tip of a funnel to punch a circle around the top ¾ of the strawberry core, then use a vegetable peeler or small knife to pry the strawberry cylinder out. 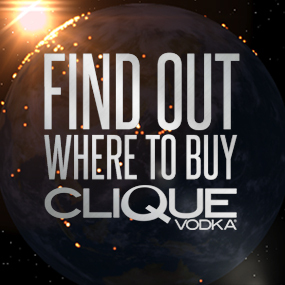 To fill the strawberry Jell-O shot Santa’s, prepare the Jell-O according to the directions, substituting ¾ cup of Clique Vodka shaken very well over ice and strained in place of the cold water. 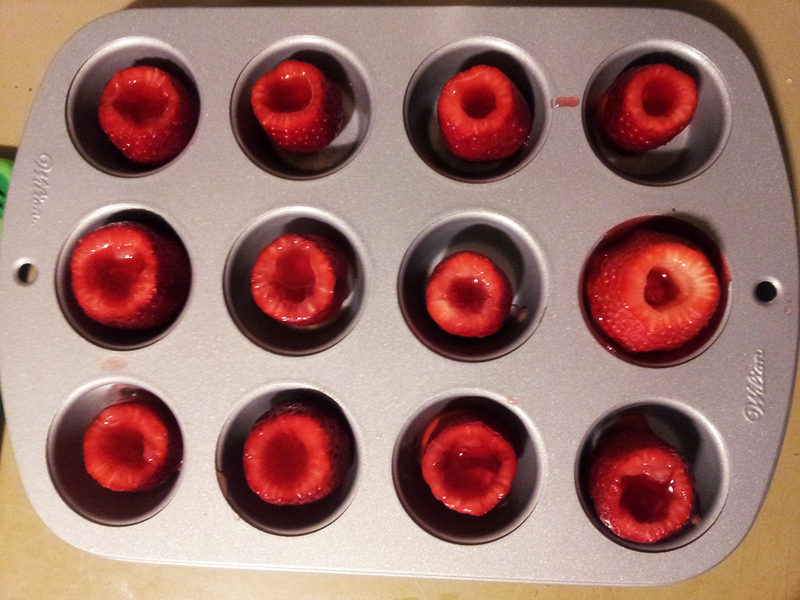 Place the hollowed out strawberries in a muffin pan or a cookie sheet and slowly spoon the Jell-O into them. 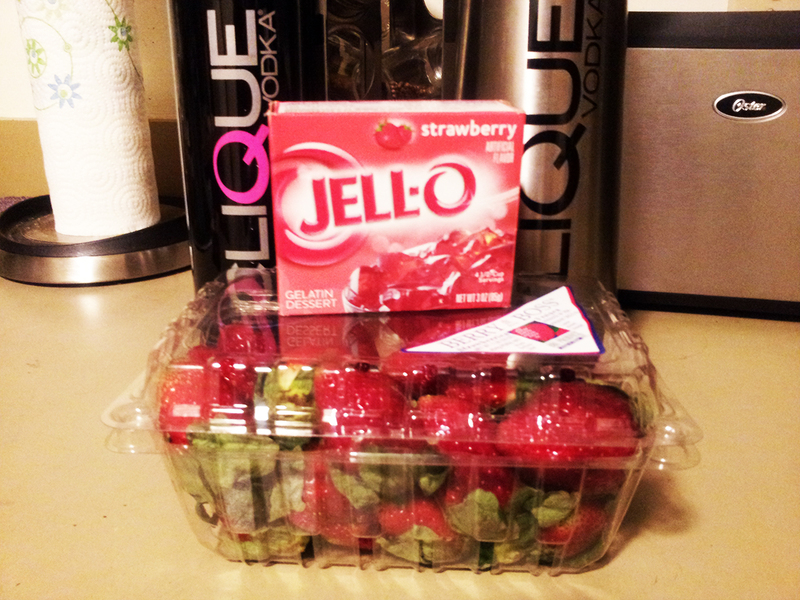 Place in the fridge for at least 2 hours or until the Jell-O is set. 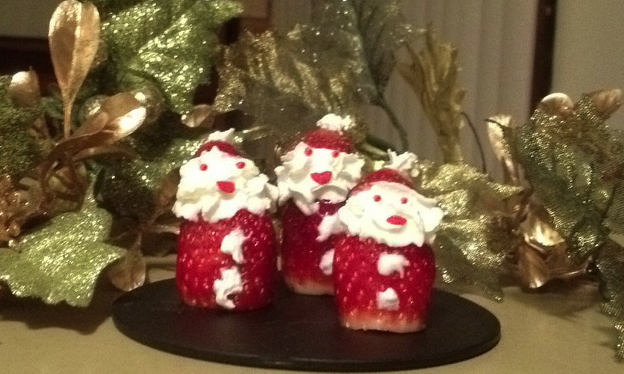 To ensure that the whipped cream comes out strong enough to hold up the strawberry hat and be full of flavor for these cute strawberry Jell-O shot Santa’s, we will be making a special cinnamon whipped cream (which is never a bad thing to have around the house- especially around the holidays!). Simply add 1 cup of heavy whipping cream and 1 oz of cinnamon simple syrup (Boil a cinnamon stick in 2 cups of water for about 10 minutes, then cut the heat and stir in 1 ½ cups of sugar until completely dissolved, let cool and strain) to a 1L cream whipper, and charge with 2 nitrous cartridges. Shake about 10 times and hold upside down to dispense the cream. If the cream is runny, place the whipper in the fridge for another 10 minutes, shake and try again. Add a generous amount of whipped cream to the top of each strawberry and carefully place on the strawberry hat. Place 2 sprinkles in the cream to form the eyes, cut a circle sprinkle in half to make a mouth (tweezers are a great tool for placing these), and use a chopstickto place tiny dollops of cinnamon whipped cream to the front of the strawberry for buttons and to the top of the hat. Ta-DA!! 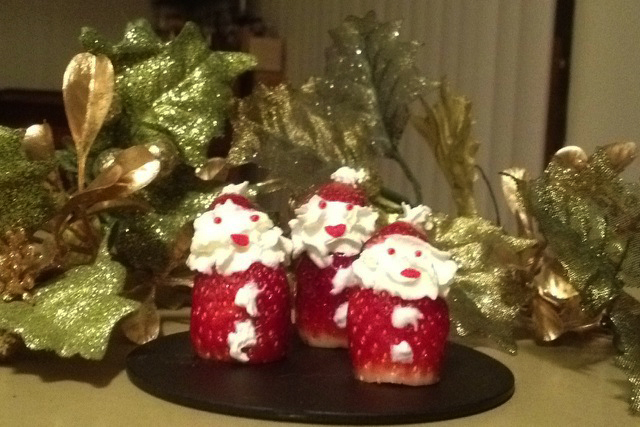 A deliciously adorable way to serve Jell-O shots for Christmas! -And if you don’t like jello shots (weirdo), the just skip it and fill the Santa’s with a 1:4 mixture of Clique Vodka and cinnamon simple syrup shaken very well over ice and strained for strawberry cinnamon Santa shooters! If you try to make these, upload a pic to Instagram and tag #CliqueShots!